Amy Roberts is a strong courageous woman who has battled breast cancer not once but twice and has been a survivor for years. As many of you know, she is now fighting cancer once again. This time she is battling Osteosarcoma, or bone cancer. Amy had surgery to remove a tumor from her chest in September of this year. In October they found another mass on Amy's spine. They removed as much of the cancer as they could. Unfortunately after only 10 days the tumor has come back and is nearly twice the size as it was before. She is currently receiving radiation treatments and will start chemotherapy when the radiation is done. Amy has lost the use of her legs and it is unknown if she will ever get the use back. Her husband Mike has been by her side through it all as well as her children Johnny and Amanda. Amy is one of the sweetest, kindest, and honest people I know. She is always smiling and puts others before herself...always. Now, her and her family need our help. Please consider a donation to help this beautiful soul. Money raised will be used for medical costs as well as to ease the burden of lost wages while Mike and the kids care for Amy. I'm sad to say that Amy passed away last night. I want to thank everyone for their support, love and prayers. Amy was a beautiful person whom I had the priviledge to call my friend. As I have said previously, Mike has been by Amy's side through it all, taking a leave of absence from work. Therefore, I will leave this campaign active for another month. Thank you again. May God rest Amy's soul and may He look over Mike and the kids during this difficult time. 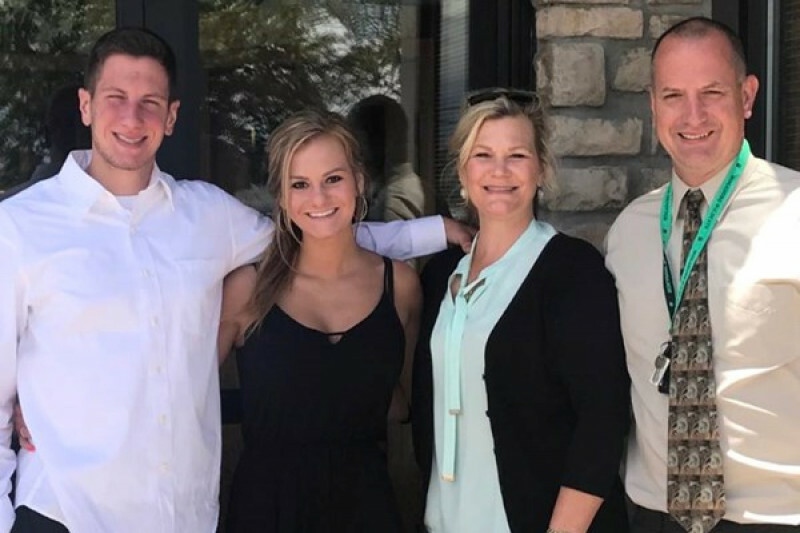 Amy and her family need our support and prayers now more than ever. Amy will be moved to a hospice facility today. Mike has been by Amy's side the entire time. He has taken a leave of absence from work to care for Amy. Please continue to pray for Amy and her family and please share this post. Amy is still at the Cleveland Clinic. Her throat has been very sore and it was hard for her to swallow even water. That is getting a little better and she's regaining some strength. She is supposed to meet with her oncologist today to go over the results of her MRI. Please continue to pray that the chemo is working. Please continue to share this with your friends and family and on your pages also. Amy has been moved to Summa Rehabilitation Center. She still can not use her legs and is waiting to find out if the chemotherapy is working. When Amy is able to go home there will be many expenses. She will need a hospital bed, wheelchair, chair ramps and other items. Please consider a donation, any amount will help. Please continue to share this on your page and spread the word to friends and family.